And they say miracles never happen — Bloodborne, one of PlayStation 4’s greatest exclusives, is March’s free PS+ game! Much like Dark Souls and Nioh, Bloodborne is known for its oppressive atmosphere and punishing gameplay. 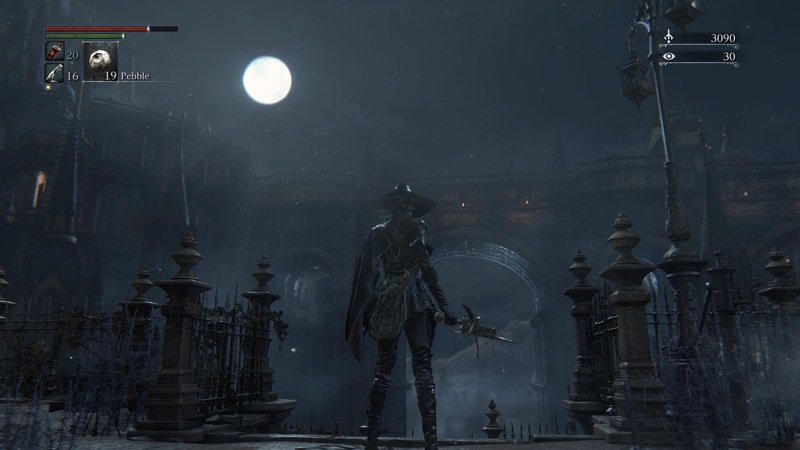 So, if this is your first time entering the blood-drenched city of Yharnam, here are 5 tips that will help you git gud, seek the paleblood, and transcend the hunt! You know how, in anime, you have scenes of a cool character casually dodging strikes? Yeah, that’s what you do in 90% of the time in Bloodborne. In contrast to Dark Souls, Bloodborne encourages aggressive beast-like fighting through a pretty badass system called Rally, which is a risk/reward system where, after taking damage, you have a brief window to reclaim lost health by attacking. So the next time you get hit and there seems to be a window for you to out-speed your enemy’s next attack, go ham and bathe in their blood. Instead of ducking out of harm’s way, GET IN THERE. Although Bloodborne encourages faster combat, patience is still your greatest weapon and shield. Aside from the fact that the sceneries in this game are so lavishly detailed and just downright gorgeous, stopping and staring at each vista and alleyway lets you clearly tell if you’re heading into a fight, or if there is a safe haven/boss room along the way to your distant destination, or if there’s a shortcut right in front of you that takes you back to your Lantern! You can actually go to every location seen in this photo. For example, as you exit your first building and find yourself staring at a vast cityscape during the start of the game, the bridge directly opposite your balcony is actually where a certain gigantic beast of a boss resides. Later on, as you trudge through Yharnam’s sewers, look up — and you might just see the balcony from which you came out of hours earlier. 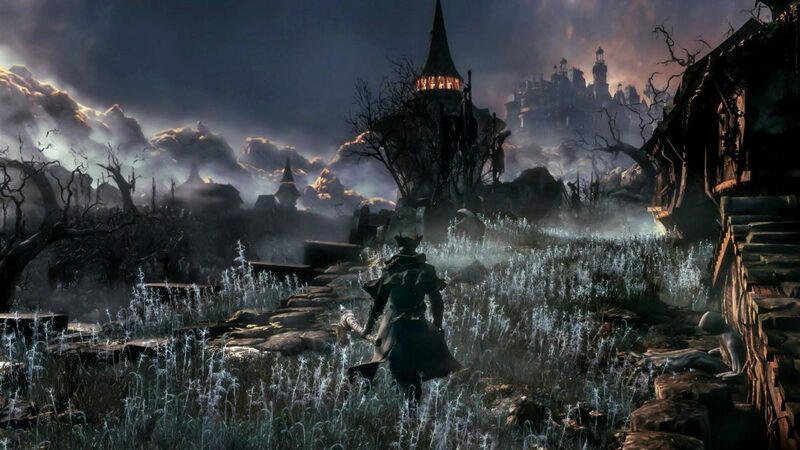 Almost every major area in Bloodborne is cohesively connected to one another with multiple shortcuts, so get exploring! By doing so, you’ll also avoid rushing into an area only to find yourself slapped to death by a group of frenzied villagers and their dogs. Yes you can dodge and weave around your enemy like a cool guy, yes you can put your sword into its sheath to turn it into a giant sword, yes you can shoot an enemy in its face a millisecond before its attack lands to nail a sick parry attack — but let’s face it, we all have our (un)fair share of embarrassing deaths in SoulsBorne games, the whole game is littered with bloody holograms of our and other players’ failures! And sometimes, these deaths may cost you thousands of your hard-earned Blood Echoes. We’re here to tell you that it’s totally fine. Really! It’s rather easy to earn Blood Echoes back, and they really don’t matter too much in the long run compared to your gear, Runes, and Blood Gems. So don’t beat yourself up too much next time, and focus on GETTING BACK IN THERE instead. 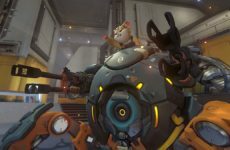 On the topic of dying, do remember that you don’t have to fight everyone. If you’re stuck at a boss, just skip everyone else and rush straight to the arena! Or, if you just don’t enjoy fighting a particular enemy type, just make like a Joestar and GTFO! Along the lines of points #3 and #4, we really can’t stress the importance of patience enough. You get the gist. Take the game one enemy at a time, and you’ll find yourself slowly becoming the badass hunter you’re meant to be. Also, if you find yourself dying a lot in an area or to a boss, take a break! We’ve noticed that trying over and over in rapid succession actually makes us sloppier and worse at the game. We really cannot stress this enough. Bloodborne is a video game at the end of the day, and though the game’s punishing and oppressive design makes the journey look daunting and downright impossible sometimes, all the pieces are there to exhilarate and make you feel like a badass hunter — your slick dodges, your kickass hunter’s cloak, your transformable weapons, your stylish attacks etc. Armour stats don’t really matter very much in this game, so go ahead and wear whatever looks coolest to you. ALL weapons are viable too, so go ahead and invest your Blood Gems into whichever weapon you fancy. Saw Cleaver in one hand, church-approved shelling cannon in the other. 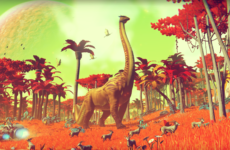 So, put on whatever makes you feel confident, jump in, be patient, score some kills, laugh at your own silly deaths, laugh at other players’ silly deaths, discover a shortcut or two, come across a new weapon, talk to any of the game’s weird NPCs, conquer ungodly nightmares, uncover mind-rending secrets, and relish every moment of your Saw Cleaver tearing through beastly flesh. Send your badass hunts or embarrassing deaths to us at nathan@themagicrain.com for a shot at being featured! Happy hunting! Previous Post Enjoy A Night Of Anime Music With Mystical Mirage, Harmonia ACG, & More! 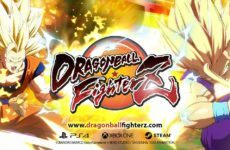 Dragon Ball FighterZ Open Beta to Begin Soon!